What does academic sponsorship really mean to our students? Thanks to this wonderful opportunity, I have learned that I have the ability to conquer and achieve anything I want. I learned that limitations are figments of our own insecurities, that I can go above and beyond to achieve the impossible. I found out how incredible it feels to learn from collaboration and shared experiences. I made friends that have widened my perspective. I have experienced the fulfillment that independence gives you. During my time in London, I realized that my love for learning and love for education brought me there. The experience really revitalized my desire to continue my education and share my passions with the world. I am now ready to begin the next chapter of my life at a college/university, and share what I have learned with my community. I gained knowledge about British culture that I could never discover in school, and because of this, my desire to major in international relations has increased tenfold. This scholarship benefited me by motivating me to do better in school, so I can attend more trips, or to just be a successful individual who can travel the world and experience foreign cultures. Therefore, I can’t thank you all enough for this life changing experience. The biggest takeaway was certainly that I can excel at being independent. This trip has been life-changing not only that I was seeing pretty sights around me but it was more confidence in myself and my abilities to rise above my insecurities and self-consciousness. My future feels brighter and I feel brighter. I am extremely grateful to receive this scholarship. By receiving this award, I will be able to achieve my goal of being the first to ever graduate in my family. Since my BAFTX scholarship, I have gained an intern position at Southwest Research Institute and have maintained a 4.0 GPA. I am going into my senior year and look forward to the challenges that await me while also preparing myself for the next step in my life. I plan to enroll in a Masters program while starting my career. Thanks again BAFTX for supporting my education. I am now a rising senior and have recently been elected as president of the Society of Petroleum Engineers Student Chapter at Texas A&M University. This summer, I will be interning with Schlumberger in Houston. Next steps include finding what part of the energy industry I would like to further study. I have found interest in an international scope of oil and gas, and am considering possible graduate school options outside of the United States after gaining some work experience. But, I do not feel that I am necessarily tied down to any certain experience. I am open to learning as much as I can about this exciting industry. The “British Summer Programme” I attended thanks to the generosity of the people who sponsored the Junior Achiever Scholarship awarded to me a few months ago, in addition to intensifying my love for history gave me the opportunity to experience the European culture in a way I do not think any other 17 year old from a low-income household like me would. I am beyond grateful for this amazing one-in-a-lifetime opportunity and, as I mentioned to my parents and friends a life changing experience, I had been deeply interested in history before this summer program but never had I considered to be a passion for me- something I would like to study more in depth in the future. I am so grateful for BAFTX because I was able to make lifetime friendships!! Studying abroad has also allowed me to talk to strangers easily! I now know that I will be able to live on my own in college! Experiencing programs now as freshmen, sophomores or juniors will give you all courage to actually do study abroad in college. It was an amazing opportunity that I will never forget or regret! The BAFTX trip was an immensely formative experience for me, and came right at a time when I was still figuring out how to navigate the world on my own. The program opened my eyes to cultures and opinions that sometimes directly contrasted my own worldview up to that point, and as a result, made me a much more open-minded and considerate adult. My father was English and did a great deal of travelling when he was younger, so I grew up hearing all of his stories, but I would never have been able to experience any of it for myself had I not been sponsored by BAFTX. That experience has resulted in my returning to the UK (travelling up and down the island) for at least a month every year since the trip, and pushed me to apply for a whole host of scholarships and programs I never would have dreamed of beforehand. I am now a Terry Scholar at Texas A&M Galveston, with a full ride all four years of university-- including a stipend for a semester abroad that I will be taking next year. I am a Community Leader (a university job), an officer in the Terry Organisation, and a leader on campus. BAFTX allowed me to dream, then gave me the tools to make those dreams a reality. In all honesty, receiving a scholarship from BAFTX was the deciding factor for me to continue my education. With the help of BAFTX, I didn’t have to sacrifice my educational goals! I’m so grateful for the generosity of the British American Foundation of Texas, which has allowed me to pursue my Master's Degree. The support from BAFTX granted me opportunities of incredible blessing and growth. Traveling to London for 12 days allowed me to understand the true meaning of art and inspiration so I as a person achieve greater hold on life. Within our trips, we saw memorials, statues, jewels, and more. I will never be able to forget this experience and will forever reign on my heart as the best experience of my life. On this trip we visited The Blank, this engaging performance showed me what it took to be a part of England's opera and amazed me to the point to help me decide that theatre is a wonderful major to pursue. I would like to genuinely thank you for all of your efforts for students like me. Without your help, I wouldn't have been flying for 11 hours to London on an international flight. You have helped a hot-headed boy with lollipop dreams turn into a traveling scholar and become a functional not ornamental asset to my school. I did my study abroad, funded by BAFTX, from August to December 2013. I thoroughly enjoyed the opportunity to study abroad and I feel it has added to my skill set in various ways. In 2015 I graduated from Swansea University with a first class degree (hons). The same year I started my current course, an integrated PhD (Master's degree and PhD) at the University of Leeds. My course title is: Centre of Doctoral Training in Tissue Engineering and Regenerative Medicine - innovation in medical and biological engineering. I am in the third year of four currently and in an integral part of my research. The study abroad programme demonstrated to me the dedication and determination needed to achieve your goals, something that I need to complete my PhD. In 2012 I was accepted to the BAFTX Junior Achievers program and I have been in debt to BAFTX ever since. I come from a small Texan town called Houston, you might have heard of it; Houston was my world before I got the chance to travel--rarely getting the opportunity to travel and leave the small bubble that North Houston can be. Never in my young adult life could I have ever dreamed of going to England, but BAFTX made it happen; BAFTX made it happen for this unlikely traveler. Coming from a blue collar family, being able to leave the borders of beltway 8 was monumental to me. The cultural and academic exposure I gained through BAFTX is unparalleled to any other experience I've had since. I am currently embarking my Senior year at the Wharton School at the University of Pennsylvania, 1,547 miles away from home. My horizons have only further expanded after my experience in England. Thank you BAFTX for all your support!" 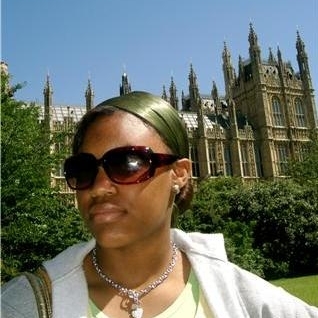 I studied abroad in Bath, England the Spring of 2009. Studying abroad was one the best decisions of my college career. In a short 5 months, I made friends from all over the world, who I am still in contact with today. I would tell anyone that if they have the opportunity, they should study abroad to learn more about the world. I know it is helpful to have met people from all cultures, given I work for a global company. 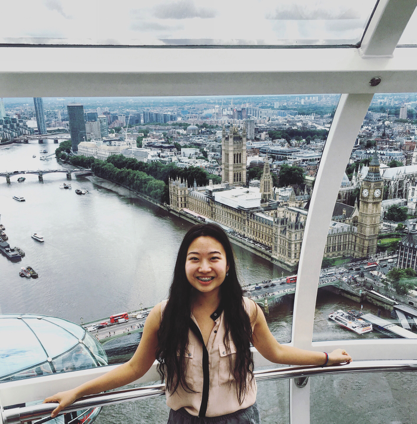 Since my journey to London as a Junior Achiever, I discovered a passion for studying different cultures. This passion led me to study abroad in Costa Rica and Japan, and to obtain a degree in International Studies of Commerce (minor in Japanese). I observed how language barriers can prevent people from receiving help from authorities. This was a factor that led me to attend law school. I developed a desire to assist low income individuals who need access to our legal system, but struggle with language barriers. As of 2018, I recently graduated from law school, and continue to work with the Family Violence Law Center to help individuals from various cultural backgrounds in obtaining a restraining order against domestic violence abusers. Thank you all for giving me this chance to enjoy this magnificent experience! This opportunity may never again come for me in this lifetime. I am now more social, responsible, and have developed leadership skills, of which I never dreamed possible. I now have a yearning to meet new people, try new things, and dream new ideas. The people I have met on this trip, from all over the world, have become pen pals, lifelong friends and even relationship counselors. Not only has this been a meaningful trip, but it has been a privilege and an honor! I am now set apart from the average female college applicant, I now have something on my resume which shows my seeking of knowledge and my love of history and politics. With deepest thanks, "
Thank you for allowing me the pleasure to visit the United Kingdom. I feel I learned an abundance of information about the British culture and got a once-in-a-lifetime opportunity. This experience definitely changed my life by giving me a glance to what I might want to become in the future." I cannot express how grateful and thankful I am to be a scholarship recipient. These funds will allow me, for the first time in my college career, to focus entirely on my schooling without the constant worry of working to pay for it while juggling a full time job and a difficult course load. Some how I hope you understand what your contribution to my education has meant to not only me, but my family. Your support of my education is an incredible gift for which we are forever grateful. I am very honored to be the recipient of this award and enjoyed the chance to meet people in the banquet. Receiving this scholarship motivates me to maintain my GPA and complete my degree. I look forward to being able to give back to the community. I thank you for your confidence and willingness to help me achieve goals. I want to take a moment to personally thank you once again for all of your support. Attending the BAFTX gala was an amazing experience for my parents and I, one that allowed us to more comprehensively understand what you and the team of directors do independently and collectively to make a difference in the community. As a beneficiary, I greatly appreciate the investment in my education and in me as an individual. I offer you my heartfelt appreciation and my commitment to continue in my educational goals so that one day I too can financially support the next generation of students who receive from you a new opportunity to succeed. Just to let BAFTX know how much I appreciated the award ceremony held last week for us. It was fun and the food was great. I took a lot of things back home from the guest speakers and sponsors; they were truly people that I admire. I also appreciate my sponsor, HESS, for the scholarship. This experience was more than I ever could have imagined and more than I ever would have dreamt. My trip to London has defined my growth and expansion as a student and a young adult. I can honestly say this was the most wonderful experience I could have attained. This scholarship has been an array of benefits. Through this scholarship I have experienced things that are extremely educational and useful for my life ahead. I've learned about different cultures and customs which have heavily influenced my perspective of the world. Through this experience I made wonderful friends as well. I feel like I have improved my communication skills. The things I have seen will help me with future subjects at school whether it's regarding art or history. This whole experience has broadened my ability to assimilate to different countries and cultures, which will aid me in my future endeavors. "I am a fifth year geology PhD student in the Department of Earth and Atmospheric Sciences at the University of Houston. I was awarded a BAFTX award during my junior year in this same department. It was the first award for which I was nominated and I was so happy to have won the award. Shortly after this, I started working with my current PhD advisor. I would describe myself as a marine geologist, with a specialty in sedimentology. My dissertation research focuses on the study of sedimentary processes and sediment distribution in fjords of the Antarctic Peninsula. In the future, I want to continue working on similar research, not only in Antarctica but also in the Texas Gulf Coast. I also want to teach earth science and environmental geology at college level. What brought me into geology was the curiosity to understand the processes that shape this planet, and during all this time I have never ceased to be amazed by the natural world. I hope one day I can transmit this sentiment to others." My life was completely and utterly transformed courtesy of the scholarship that I received that summer from BABC [who awarded Junior Achiever scholarships prior to the launch of BAFTX in 2006]. I graduated from Lamar High School in 2003 with the International Baccalaureate diploma, went on to graduate from Occidental College (where I participated on a couple of study abroad programs) with a BA in Diplomacy and World Affairs, and then graduated with an MA in International Studies from Goldsmiths College, University of London in 2010. I now serve as an Academic Advisor in the Bauer College of Business, University of Houston where I advise undergraduate business students on learning abroad opportunities. My entire personal and professional trajectory has been courtesy of the kindness and generosity of BABC and the scholarship donors.